Soak tamarind in 2 cups of warm water for 20 minutes, extract its juice and keep it aside. Heat 1 tsp oil in a pan and add chopped tomatoes and turmeric powder and saute well till tomatoes are soft and cooked. Add tamarind juice to this and allow to boil for 3 minutes until raw smell of tamarind goes. 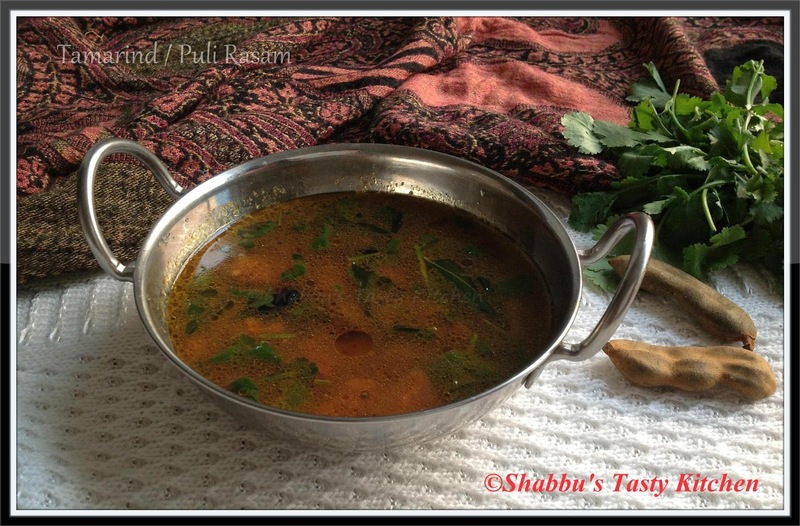 Then add rasam powder to this and simmer for a minute. In the meantime, heat a small pan and add 2 tsp ghee and 1 tsp oil and splutter mustard seeds. Add dry red chillies and curry leaves, fry it and add to the rasam and boil well on medium flame.